The University of Canberra Hospital will officially open next month. Photo: Supplied by ACT Health. Canberra’s new public hospital at the University of Canberra will open its doors to the community this Saturday (16 June). Canberrans are invited to check out the hospital on Aikman Drive in Bruce to meet staff, tour the therapy gyms, hydrotherapy pool, bedrooms, living spaces and day treatment areas before the hospital takes its first patients in July. The hospital will fill a unique role in the ACT Health system and will deliver specialised care for people recovering from surgery, illness or injury, or experiencing mental illness. 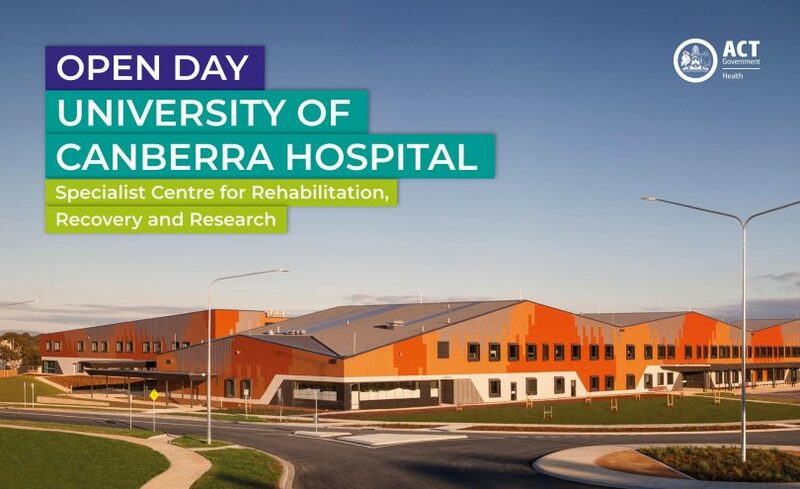 ACT Health Minister Meegan Fitzharris said the open day is an opportunity for the whole community to come and check out the facilities before it officially opens next month. “As part of the open day, Canberrans will have the opportunity to meet staff who will be working at the hospital and learn about the dedicated care and services that will be provided,” she said. “There will be family-friendly activities, a sausage sizzle, live music performed by University of Canberra student musicians, tours of the facilities and demonstrations of equipment. “Brindy’s Café, the hospital’s new café which is located in the foyer of the building, will also be up and running; ready to serve coffee and cake to visitors at the open day,” Ms Fitzharris said. The University of Canberra Hospital is located on the north-western side of the University of Canberra campus in Bruce, at the corner of Ginninderra Drive and Aikman Drive. Entry to the hospital site is off Aikman Drive at the traffic lights. The best way to get to the open day is by public transport. Transport Canberra bus services stop on Aikman Drive. Plan your trip here. Open day car parking is available in the University of Canberra campus car parks off College Street. A shuttle bus will run frequently between the bus stops on Bimbimbie Street, College Street and the University of Canberra Hospital. There is currently limited parking at the University of Canberra Hospital site. For more information, including information on parking and the activities that will be happening on the day, click here.